This is a reprint from an article I wrote in 2006 for the local home school association. At the time my children were 10, 8, 7, 6, and 1 year old. It was not one of my children that uttered this complaint. It was me. I want to homeschool my children. I know this is the greatest thing I’ll ever accomplish. I love being with them. I love learning. 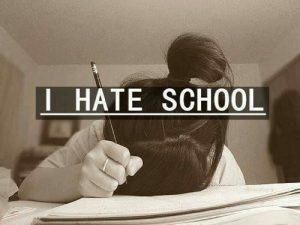 But I hate “doing school”. And so I did. And things have never been the same. While I want my children to be well educated, I don’t really want to be spending time in textbooks. I want to be living life. In the beginning of my educating journey, I spent lots of time trying to find a curriculum that would work for my children and me. Nothing seemed to help. I hated “doing school”. Then, I stumbled across the idea of informal education in the early years. Aha! This seemed more like me. The idea is to create an environment rich in learning experiences on which our children will build as they mature. This is not unschooling. The definition of unschooling, as I understand it, is child-led education. My children do not lead the education in our home. I do. I just don’t do it like a classroom. We have not used textbooks in any formal way. There are no tests, quizzes, or workbooks in my home, but there is lots of learning going on. It’s learning that helps me love school. My goal in the early years is to immerse my children in knowledge. This time, referred to in classical education as the grammar stage, is the time of discovery. That’s what we are doing together – we are discovering the world. We read two or three hours a day. This is the highlight of our day and the heart of my children’s education. I generally choose books that I personally would love to read. We love reading history, poetry, instruction manuals. We have found great joy in memorizing bits of writings that we love. My husband and I have discovered the joy and privilege of reliving our childhood years with our children. We are all building a solid educational foundation together. Our reading includes fiction and non-fiction, historic and scientific, biographical and fantastical. My favourites are historical and biographical, and my children appear to be following in my footsteps. We have read through the history of the world in a four-year rotation. We are about to begin a new rotation and I look forward to reading about ancient times with my boys who are too young to remember our first time through. In addition, my children read to themselves. My oldest sets her alarm in the morning so that she can get up and have enough time to read. My youngest are desperate to learn to read on their own. We use a phonics-based program and go slowly, a letter or two every day. I love to see the wonder on their faces as they discover a new sound, a new blend and suddenly a new word. I caught my six year old, just today, sounding out words in an early reader so he could read before bed like his older siblings. Math is taught informally as well, through everyday cooking, counting, measuring, and lots and lots of games. My nine year, who has not really had any “formal” math, picked up Saxon 54 this year and starting working her way through it on her own. Occasionally she needs some clarification, but she’s doing wonderfully. I am encouraged by this. Writing is also very laid back. My youngest sit at the table and learn the shapes of the letters. Then they start writing small words and quickly progress from there. My oldest children write letters, journals, stories, poetry, songs, newsletters and more. None of this is assigned by me. I tell them they should write something everyday. I do, so they do. Sometimes we correct these; mostly when the item in question will have an outside audience. If the item was personal, just for the child, then it does not require correction unless the child requests it. Correction provides an opportunity for teaching grammar. This is a wonderful time to introduce simple rules about spelling and punctuating. We have several reference books that we use constantly. The dictionary has a permanent place on our table and gets used daily by my husband and me. My children are learning to use it by watching us use it. What about other subjects? Everything else falls under that reading time. We often pause in our reading to discuss things. Sometimes we try something that we discover in a book. The Little House books have proved helpful here as we’ve made butter and candles. I would love to try soap this summer and maybe cheese. We’ve tried science experiments. We love arts and crafts. We listen to classical music, biographical CD’s, books on tapes, and sometimes podcast and lectures from various experts around the world. We also spend time working on our fixer-upper home. My children are learning steel frame construction, electrical wiring, drywall mudding, tongue and groove panelling, painting, nailing, and power tool safety, to name a few. We are seven people living in half of our house right now. We’re learning patience, kindness and helpfulness. We recently had a baby. My children are learning hands-on childcare. I doubt they will need a babysitting course when the time comes. As a family, we are learning piano and guitar. It’s been challenging but fun. I haven’t mentioned our music nights, our family plays, our service projects, our attempts at a healthy lifestyle, our recording adventures, our long list of projects and adventures (some failures, some successes), and our hanging out with friends and family! Not that we do these things as regularly as I would like, but we are always ready to try something new. We try to keep our options and schedules open. It’s always an adventure. As my children age, I realize that I will need to become more formal. My oldest is almost ready for that. She’s growing up and demanding more from her education. Both she and I will need to become more organized, but I look forward to it, and she does too. We’ll do it together and that’s what excites me most. Huh, that sounds kinda like us, the way we use Wildwood and other sources. Thanks for re-sharing! I sometimes feel like we need to be more formal, or more structured, or more something, but the last two weeks, after a similar conversation with my husband, I have let go of some of our structure, and we have been playing games, reading, exploring, going on all day outings, and it has been lovely!! It also sounds like a form of unschooling to me, even though you felt like it wasn’t. It seems like some unschoolers are structured and some aren’t. A lot are not just child-let, but create a partnership with their children where both parents and children contribute to the content of learning and experiences. Of course parents are going to lead life because they are parents. You were “doing life”, not “doing school”. Not that you have to call it unschooling or life learning, or any particular thing. I just don’t think it is outside of what can be included in unschooling. Thanks so much for sharing! I’ll have to check out more of your posts.